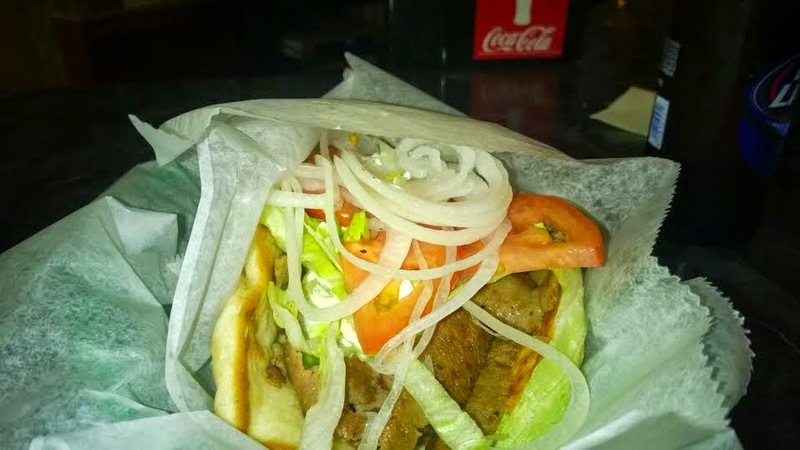 Pittsburgh Happy Hour: Salonika Gyros - Downtown. The American gyro always has been a total mystery to me. I find it very odd that Pittsburghers often argue over the merits of Mike and Tony's versus Lesvos in the Southside. I have a seriously difficult time discerning any difference between the meat used by any of the gyro places in Pittsburgh. Although gryos are considered a traditional Greek food, they are typically made with pork or chicken in Greece. So next time your drunk friends argue over the merits of various gyro places and the quality of the meat, politely explain that they are stupid idiots whose preferences are based on neon signs. Some of the great things about Salonika are the quality and the low prices. Not to mention the extremely ratty bar frequented by some of Pittsburgh's most likely small time crooks and child support dodgers. To give you an idea of the value you can expect for your dollar, all of the food pictured above cost roughly $13. 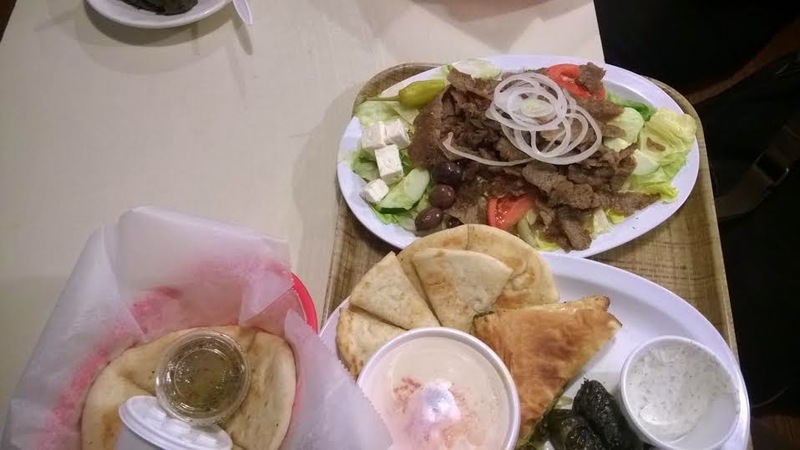 Grape leaves, tzatziki, hummus, spanakopita, tons of extra bread and a HUGE gyro salad with cucumbers, peppers, onions, tomatoes, olives and feta cheese. I dare you to find a better value in downtown Pittsburgh for dinner. (If you do, I'll take you out for a gyro on me.) Also, if you are stopping by for a drink, you can expect to pay about $2 per beer. They had $4 mojitos as well, but you don't want to go ordering your Cuban cocktails from a Greek restaurant.